さあ Get ready for the show, right now. Come along and shake it everybody. We're looking for something to believe in. We gotta go, right now! Don't give it damn, ground up! Just keep trying. Keep trying. Yeah! Go for the win. Get the flow, end roll. Let's keep your eyes on the road. 中央突破で Make it inside-out. Body shake it. Break through the wall for brighter day. 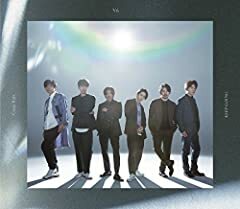 V6 49th SINGLE「Crazy Rays/KEEP GOING」http://avex.jp/v6/ 2018年5月30日リリース.